Boomer here! 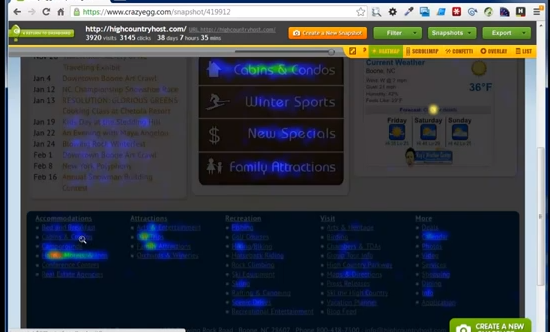 In this video, I use a local tourism agency website to explain how to use and interpret CrazyEgg heatmap reports. We monitored the site for 60 days and saw an 18% increase in traffic to a specific page by moving a single button.